This lecture is given to honor the memory of Clark B. Millikan (1903-1966). He joined the Caltech faculty in 1928 and in 1949 he became the Director of the Graduate Aeronautical Laboratories. He was one of the nation's foremost pioneers in aerospace research and development. He was a pioneer in the development of multi-engine, high-altitude airplanes, jet propulsion, and guided missiles. The Clark B. Millikan Lecture is made possible through a generous gift from Caltech Alumni Drs. Jain-Ming (James) Wu (MS’59, PhD’65 Ae) and Ying-Chu Lin (Susan) Wu (PhD’63 Ae) who carried out their doctoral research in GALCIT. Through this lecture they honor a professor who has made significant impact in their lives. Logarithmic scaling is one of the cornerstones of our understanding of wall-bounded turbulent flows. In 1938, Clark B. Millikan advanced an overlap argument that framed the logarithmic variation of the mean velocity in simple dimensional terms. Seventy-five years later, however, basic aspects of this logarithmic region, such as its slope (described by von Karman’s constant) and its spatial extent are still being debated. In addition, Townsend in 1976 proposed a logarithmic scaling for the streamwise and spanwise components of turbulence based on the attached eddy hypothesis, but to date the experimental verification has been elusive. Here, we use pipe flow measurements over a very large Reynolds number range to examine these expectations of logarithmic scaling, and show that pipe flows at sufficiently high Reynolds number reveal both expected and unexpected implications for our understanding and our capacity to model turbulence. Dr. Smits is the Eugene Higgins Professor of Mechanical and Aerospace Engineering, the Chair of Aerospace Engineering, and the Director of the Gasdynamics Laboratory at Princeton University. 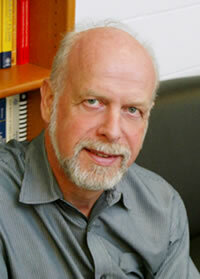 His research interests are centered on fundamental experimental research in turbulence and fluid mechanics. In 2004, Dr. Smits received the Fluid Dynamics Award of the AIAA. In 2007, Dr. Smits received the Fluids Engineering Award from the American Society of Mechanical Engineers (ASME), the Pendray Aerospace Literature Award from the American Institute of Aeronautics and Astronautics (AIAA), and the President's Award for Distinguished Teaching from Princeton University. He is a Fellow of the American Physical Society, the American Institute of Aeronautics and Astronautics, the American Society of Mechanical Engineers, the American Academy for the Advancement of Science, the Australasian Fluid Mechanics Society, and he is a Member of the National Academy of Engineering.